The offshore killer whale is rarely seen as it usually keeps far from the coast. A rarely seen type of orca was caught on video off the California coast killing and eating a shark on Tuesday. Moore said the marine mammals were part of a larger group of about 25, some of which later appear in the footage, which was filmed during a cruise with Monterey Bay Whale Watch. He said the unlucky victim was a sevengill shark. 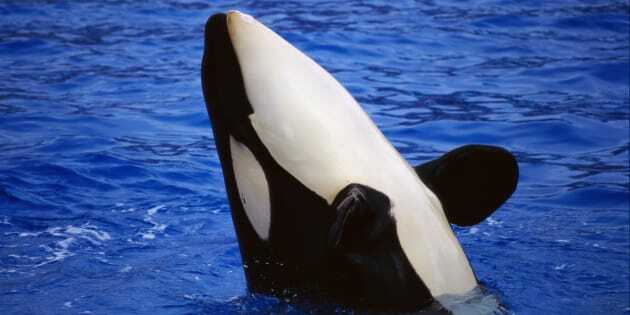 As their name suggests, the offshore killer whales tend to keep further from the shore than other types. NOAA Fisheries says they are often at least 9 miles from shore. “Offshore killer whales are among the least observed and understood of all killer whale populations,” NOAA Fisheries says on its fact sheet on killer whales. They tend to travel in groups ranging from 25-75, but pods as large as 200 have been spotted, the agency added. “Little is known about the elusive Offshore orcas, as they live far from land ― mainly over the outer continental shelf ― and are rarely encountered,” said Whale and Dolphin Conservation, a charity dedicated to protecting the mammals, on its website. When they are encountered, they are often in large groups of 50 or more. “The teeth of Offshore orcas are often worn down, indicating that they’re eating things with rough skin (like sharks),” the organization said. Taylor told The Verge that offshore killer whales are spotted in Monterey Bay once every year or so.